The Greene Rotary Rod & Bike Nights are “For The Dogs.” Money raised will help us build and sustain a dog park in Greene! Cars, Motorcycles, DJ, Vendors, 50/50 raffle, and more! 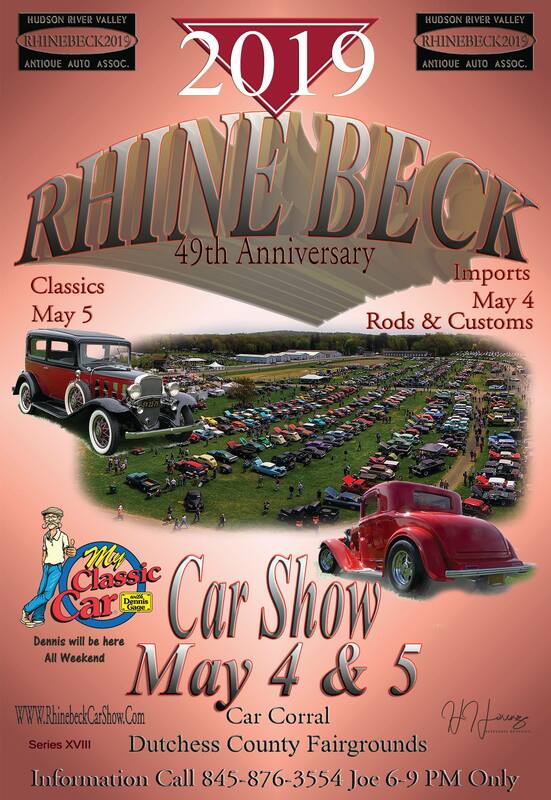 2019 Rhinebeck Car Show will be here sooner than you know. This year, our 49th will have Dennis Gage on My Classic Car TV series filming all weekend.